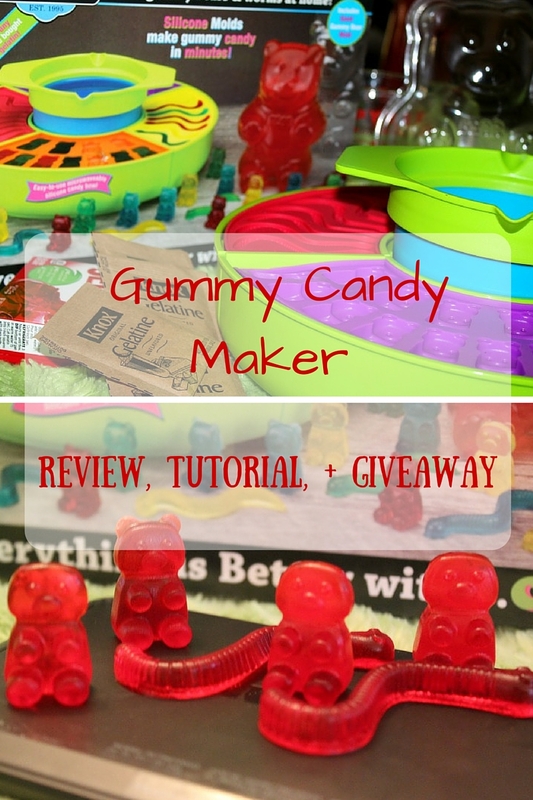 I received the Gummy Candy Maker at no cost for my review. All opinions are my own. This post also contains affiliate links. 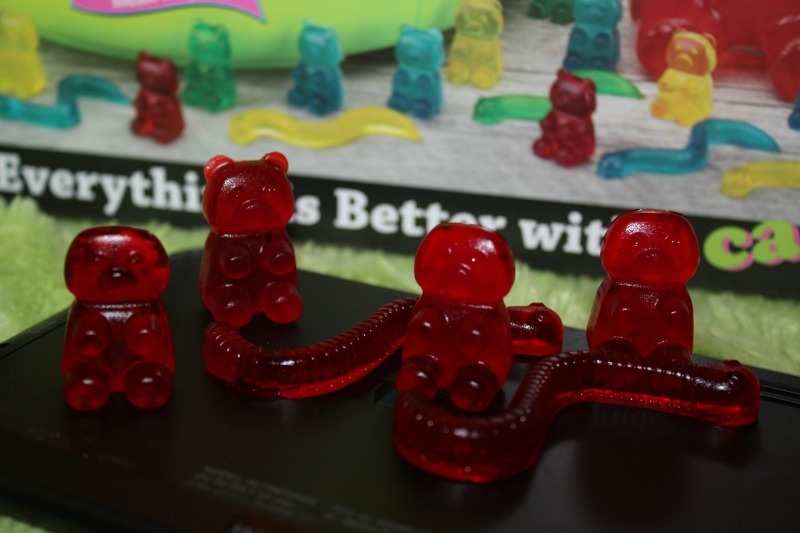 Do you love gummy candy? It is the favorite kind of candy in my household. My girls love all kinds of gummy candy, so when SmartPlanet contacted me and asked me if I wanted to write a Gummy Candy Maker Review I ecstatically said, ‘YES!’. The Gummy Candy Maker includes 4 different parts. 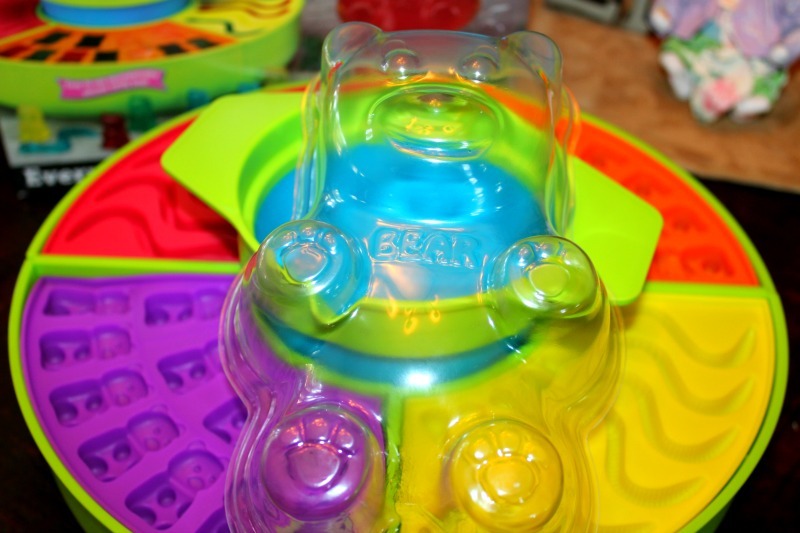 It includes a candy making bowl, large bear candy mold, 4 interlocking ice trays, and 2 bear molds and 2 worm molds. I love the brightness of the trays. It makes making gummy candy so much fun. The Gummy Candy Maker comes with an easy to understand instructional manual and includes 3 recipes. I chose to make the Basic Gummies. They were simple to make and only needed 3 ingredients; water, flavored gelatin, and unflavored gelatin. I decided to have my gummy candy addicted daugher, Gia, help me create a tutorial on how to use the Gummy Candy Maker. 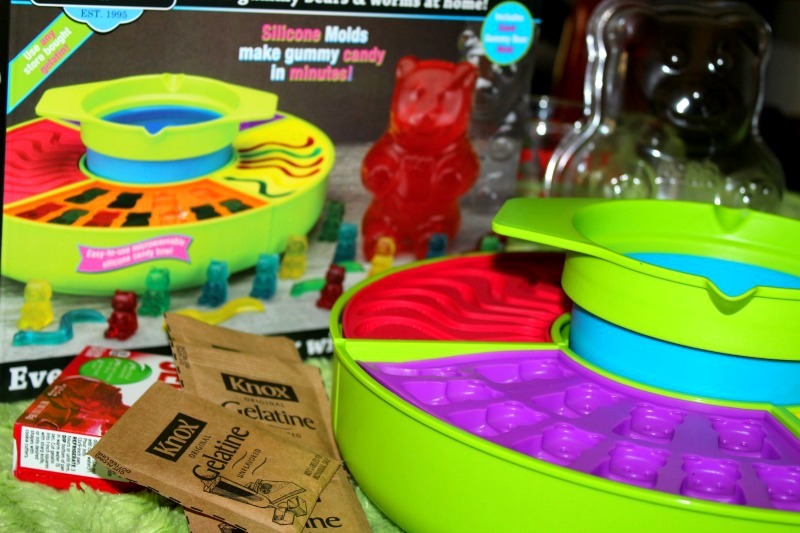 The Gummy Candy Maker was so simple to use. I love how I was able to have my kids help me and watch their happy faces when they saw the end results. The gummy candy turned out perfect! SmartPlanet was awesome enough to let me host a giveaway to give one lucky reader that resides in the USA a Gummy Candy Maker of their own. This is the perfect gadget to have for any occasion. It is also perfect for parties and rainy days.